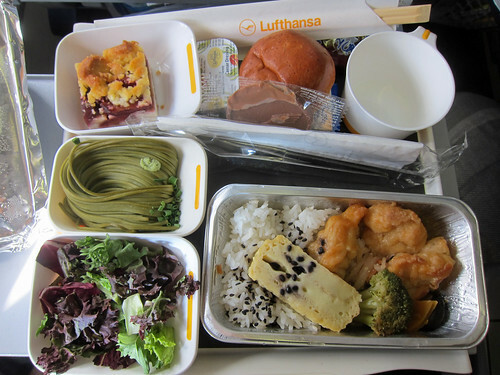 All that good eating in Japan started on the flight there. After a short hop with Lufthansa to Frankfurt, we changed for a flight to Nagoya. Our dinner was fried chicken (karaage) served with rice; sure it was a bit soggy but it was tasty. The cold green tea soba, served with a dipping sauce, was excellent and I’m convinced it’s one of those foods that are perfectly suited to high altitude cuisine. 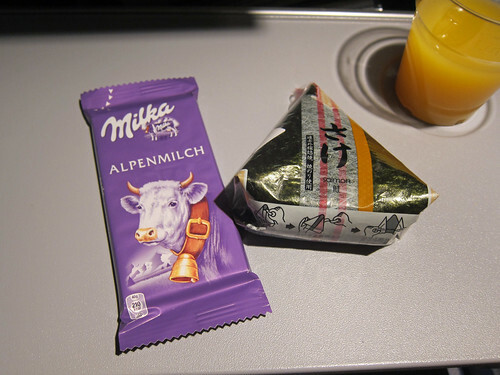 While another colleague was flying with BA and snacking on cups of instant noodles, we were chowing down on salmon onigiri and Milka chocolate bars. Our plane was full of Japanese people heading home and all of them were sleeping but…we weren’t. We were hungry and we ate so many onigiri that we became experts at opening the fiddly little plastic sheets that kept the nori crisp. In Nagoya, we tried a massive matcha kakigori at a little shop that specialised in matcha desserts in the underground shopping arcade underneath the station. 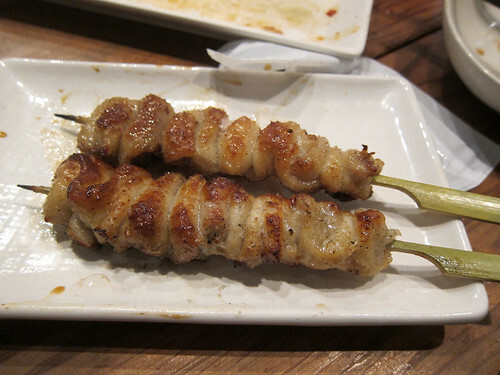 We couldn’t leave Nagoya without eating one of their most famous dishes – tebasaki! 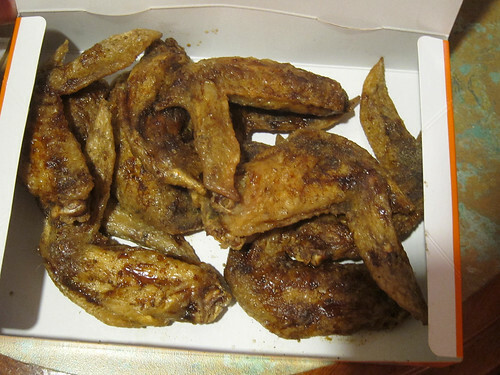 Chicken wings! The most famous place to eat tebasaki is at Yamachan; we didn’t realise this at first but we did soon recognise their fabulous half man-half chicken logo everywhere in the city. We called him ‘Chicken-Dude’; I believe that the man is their actual CEO. We would buy boxes of chicken wings to take back to our hotel and eat while we worked. These deep fried wings were just barely greasy and coated in the most tantalising spice mixture. I tried to find a way to take home this spice mixture and failed – this company wasn’t parting with any secrets! 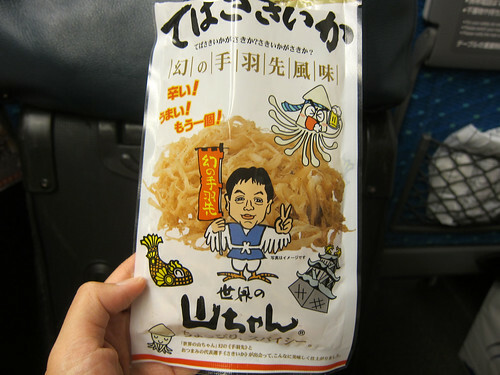 Later as we were leaving Nagoya, a colleague also bought a bag of Yamachan branded dried cuttlefish from one of the nearby restaurants for a snack. This was insanely delicious. Seriously, get some. 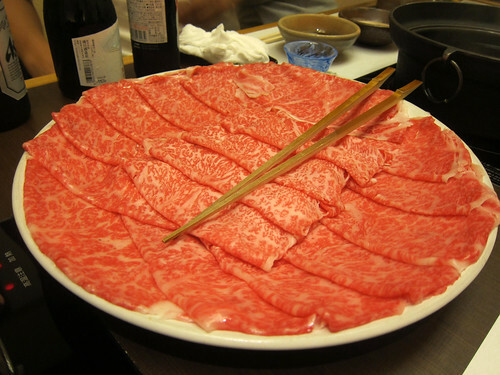 One night after work in Nagoya, a few of us were taken to Kisoji for a work dinner – it was shabu shabu time! I never would have found this place on my own and I certainly wouldn’t have known what to order. These were the platters of beautifully marbled beef that arrived. 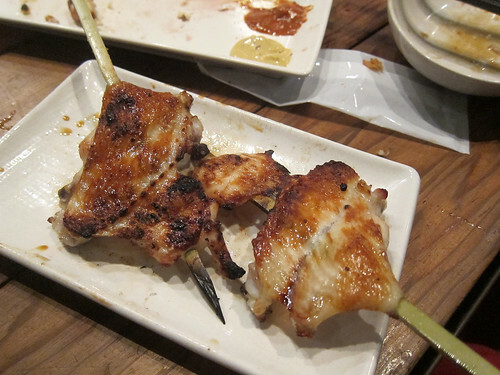 We swished the slices around in the hot water before dipping them in either a soy-ponzu sauce or a sweet sesame sauce. There was an equally beautiful platter filled with lots of vegetables and tofu to cook in the broth. To finish the meal, we had both bowls of rice and kishimen, a flat thick noodle particular to Nagoya, cooked in the final broth. Gorgeous. 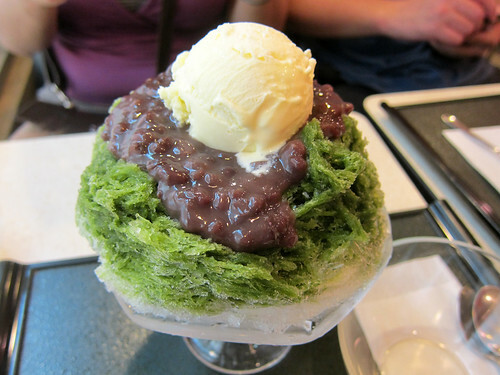 … and kudzu kiri, jelly noodles made from the starch of the kudzu (Japanese arrowroot) plant. I loved the different textures and flavours in the two desserts. 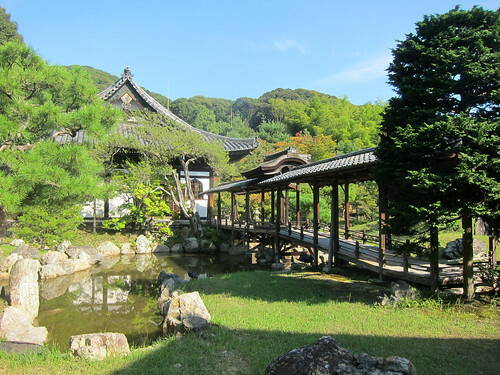 … and Kodaiji. How beautiful were they?! I’d love to see more of Kyoto. 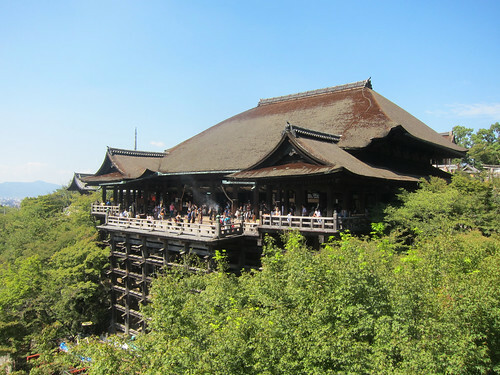 And enough time to sit down at one of Kiyomizudera’s many temple tea houses. As it was a sweltering day, we decided to split a bucket of cold tofu, which I believe is one of the specialties of Kyoto. The bucket was full of cold water and we fished the tofu from it. 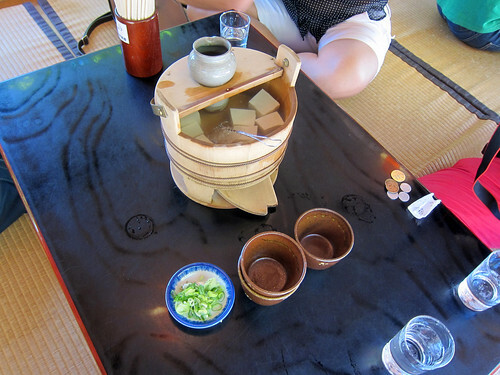 There was also a small pitcher of a soy and dashi sauce that sat in the bucket, cooled by the water, and we poured over its contents onto the tofu and topped it with ginger and spring onions too. Delicious and refreshing! 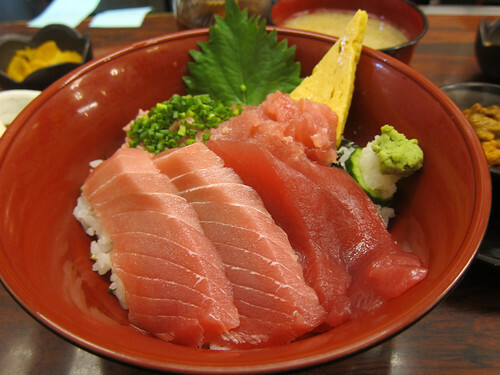 In Tokyo, some of the best things to eat were found in the markets around Tsukiji. 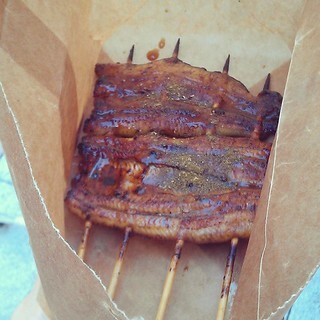 Between us all, we split this huge portion of unagi on a stick (well, multiple sticks) – fantastic stuff! On our way to the Imperial Palace, we stopped into a shopping mall opposite Tokyo Station and found this little place in the basement – Machimura Farm from Hokkaido. It sold mainly fresh dairy products and cakes and confectionary featuring those dairy products. 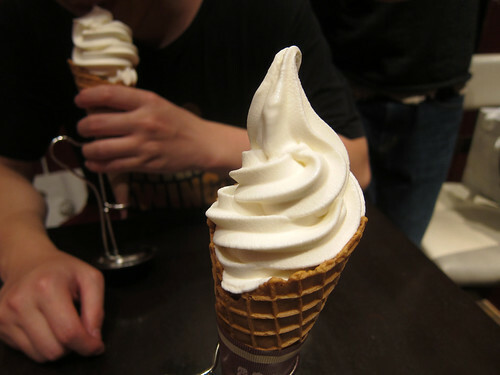 We all tucked into the most delicious soft serve ice cream I’ve ever had. It was just the flavour of the milk (which I normally detest) but this was just gorgeous. 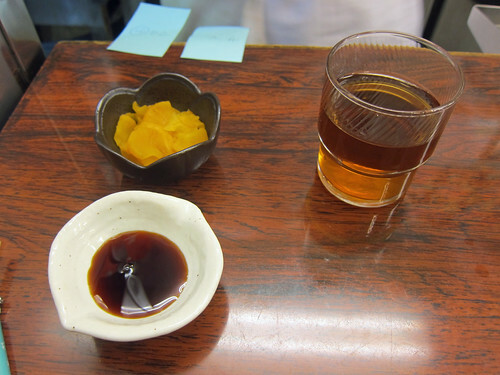 On our last day, we stopped into a random old-fashioned restaurant run by a few little old ladies near Kappabashi-dori. The place was insanely cute and homey and we only managed to order thanks to the plastic food outside! 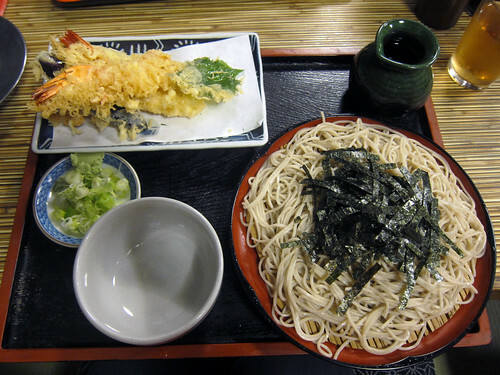 My tempura and soba was perfect and huge too. 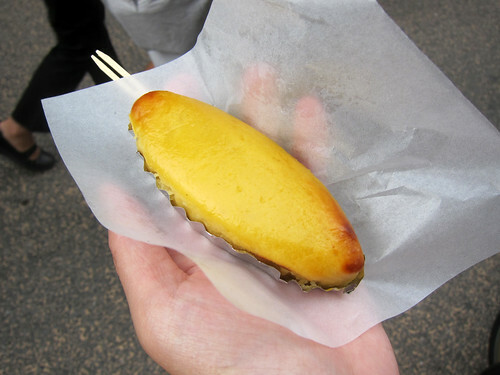 Near Sensoji in Asakusa, I spotted a stall selling sweet potato sweets. And there was a small queue! I hopped onto the end of it, keen to try a sweet I’ve only seen in pictures. 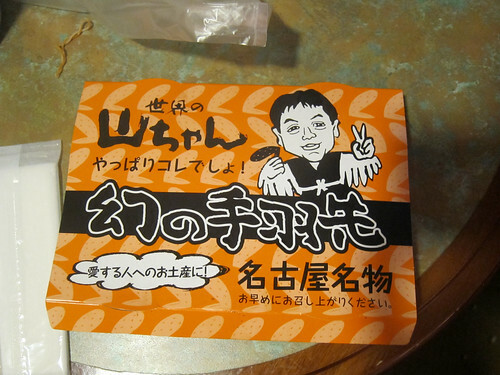 This is what I got – what the Japanese lady serving me called…sweet potato. It’s mashed steamed sweet potato mixed with egg and sugar and I’m not sure what else, reformed into the shape below and baked. And it was delicious. Not too sweet and extremely tasty (well, if you like sweet potato). Sigh…and that’s the end of this Japan series! All my photos from this trip (not just food!) can be found in this Flickr photoset. I’d heard good things of the ramen at Ippudo and even a Tokyo-native colleague recommended it to me before I set off to Japan. However, with busy times in the office prior to our trip, I didn’t have time to look up its locations and just decided to mostly wing our eating when we were there. Imagine my surprise when we passed an Ippudo in Ueno while we were walking back to our hotel the previous night! There and then we decided that our last dinner in Tokyo would be ramen. The next night, we duly made our way there and waited for only about 10 minutes before a table freed to accommodate the four of us. I had to try the Akamaru New, noodles in a tonkotsu broth but with ‘koyu’ (a fragrant black garlic oil) and ‘umami-dama’ (a savoury spice ball). I also added an egg to my order. This was some amazing tonkotsu broth, all creamy and rich and porky. I would have liked the noodles to be a bit firmer but I didn’t know then that I could have requested a specific noodle firmness. The slices of pork charshu on top were brilliantly melt in the mouth tender. This was an amazing bowl of ramen. I didn’t pay too much notice to the condiments on the side as I found my soup to be perfect just as it was. But there was vinegar, soy sauce, pepper, chilli oil and sesame seeds to add to your ramen to make it perfect for you. Further condiments included raw garlic, pickled ginger and all the spicy beansprouts you’d like to eat. Having some gyoza on the side was surely mandatory, this being our last full meal in Japan. 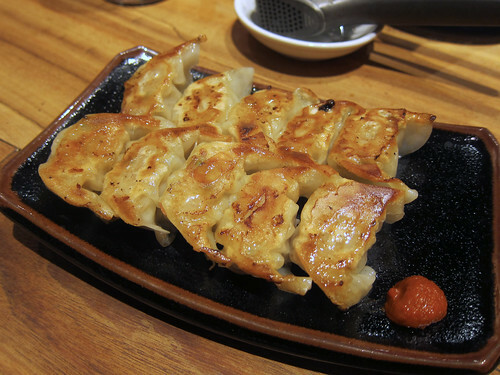 Ippudo’s mini gyoza with spicy yuzu paste went down a treat. Yes, I think I cleared almost this entirely plate myself – oink oink. They were excellent. Brilliant. Best ramen I’ve had in a while. 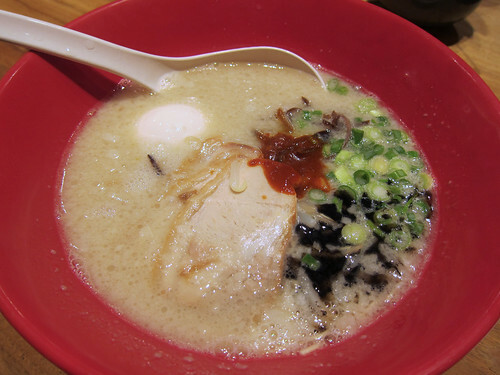 Please come to London, Ippudo (I mean, c’mon, you’re already in New York!). 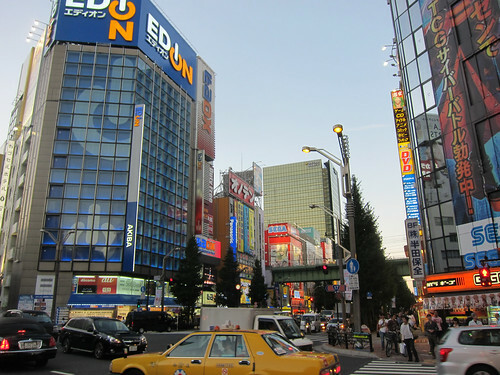 On our first evening in Tokyo, we found ourselves in Akihabara, the den of general weirdness, anime and video games. And yes, we played a few video games (can’t say we weren’t throwing ourselves into experiencing Japanese culture). Our stomachs were grumbling by the time we finished at the arcades and we sought something close by. Most of the restaurants and cafes on the main road in Akihabara were of the ‘maid’ variety and so we tried a parallel road closer to the station where we came upon a huge shopping mall. Asian shopping mall! We were saved! Restaurants in shopping malls in Asia are almost always excellent – not just chain monstrosities as you get here and in North America. 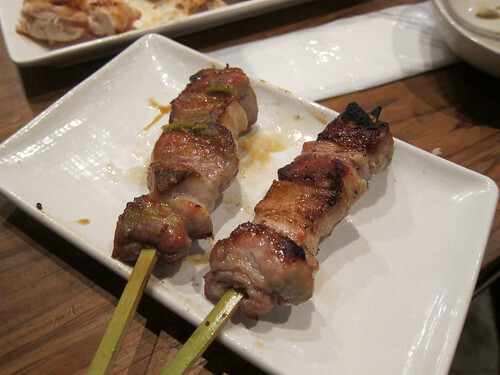 After perusing the list of restaurants and then doing a full walkround of the restaurant section in the mall and looking at all the plastic food displayed outside, we chose this very popular yakitori place on the 2nd floor – Aburidori Baricho. That above is the size of their kitchen! All the seating was around the central kitchen and there was an amazing extractor above the charcoal fire, preventing us all from smelling of yakitori. We started with a few snacks with our drinks. 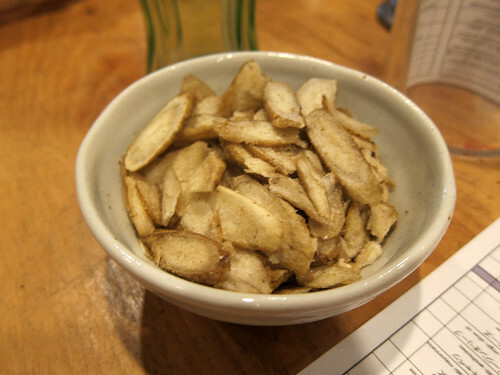 Deep fried burdock turned out to be burdock crisps and they were delectable. 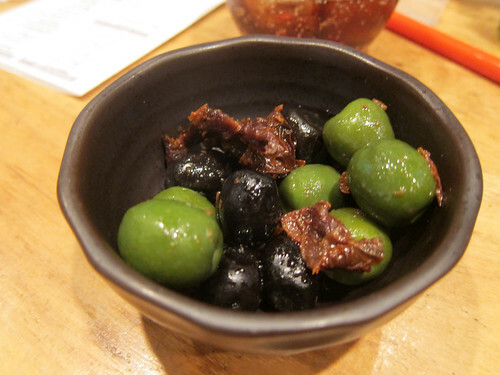 Dried tomatoes and olives turned out to be exactly what we expected! 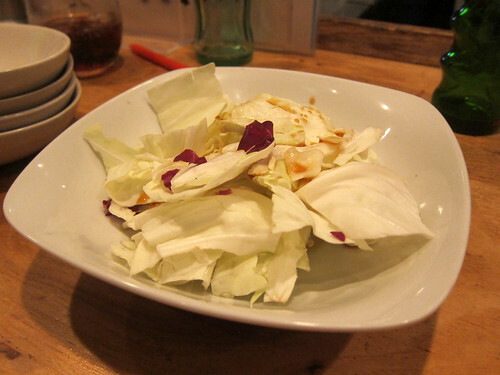 A complimentary cabbage salad looked boring but was quite refreshing. 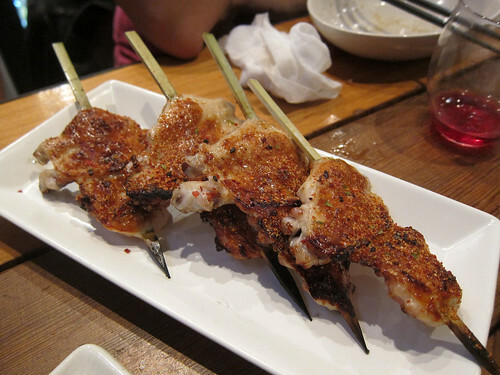 And then the yakitori started arriving. They paced it all quite nicely too with our entire meal lasting about 2 hours. 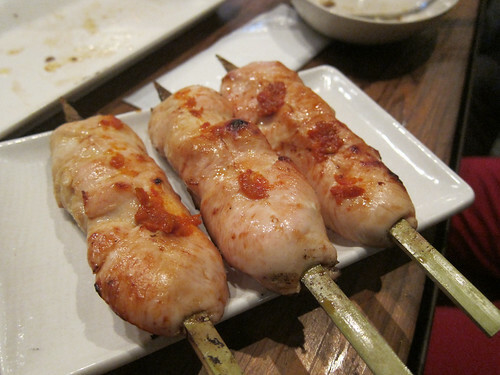 Chicken breast with red yuzu pepper started us off and just munching on that moist chicken meat put us all in a better mood. Iberico pork was wonderfully tasty and moist. 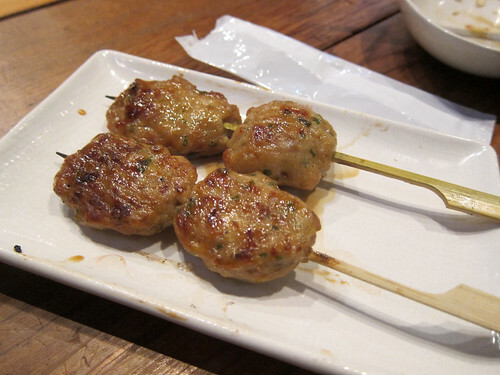 Chicken meat balls were insanely good and I regret not ordering another round of these. Chicken skin was not as crispy as I usually like it but still very tasty. King trumpet mushrooms were delicious! We need more of this fungus here. 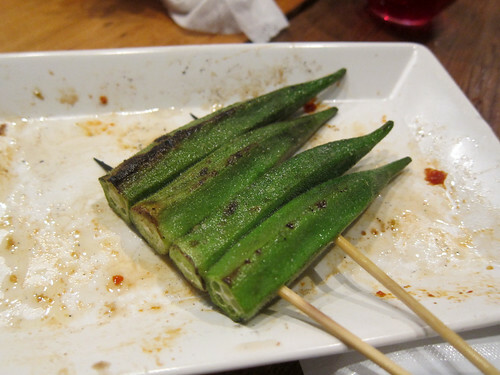 We got the last skewer of okra in the restaurant! I love okra in any way. 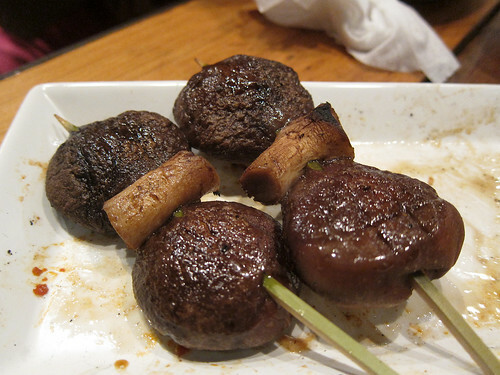 Shiitake mushrooms were fresh and hot and juicy. 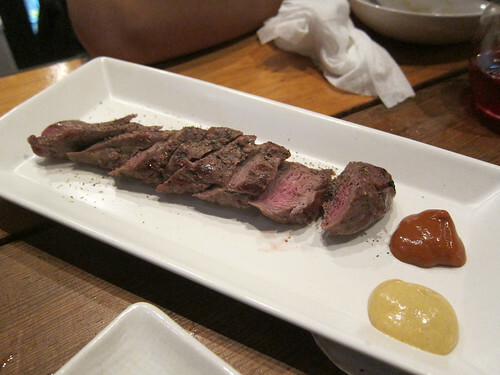 Lamb fillet was served sliced and with a spicy Japanese barbecue sauce. 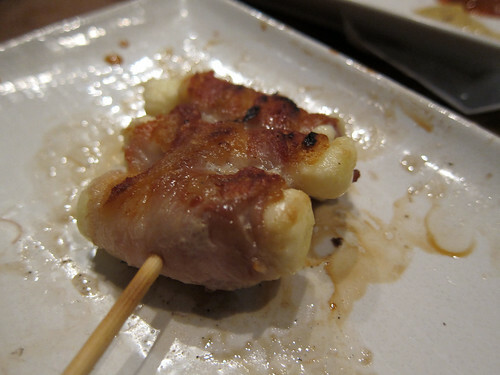 I didn’t try the cheese wrapped in pork but it seemed to be very popular! Chicken wings with salt had been under a massive shower of salt before laying on the charcoal grill but didn’t end up too salty. Chicken wings with hot pepper turned out to be the same chicken wings above but with a healthy coating of shichimi togarashi. Grilled beef gut sounded terrible on the menu but was one of the best things that night! These were fatty, crispy strips of …. 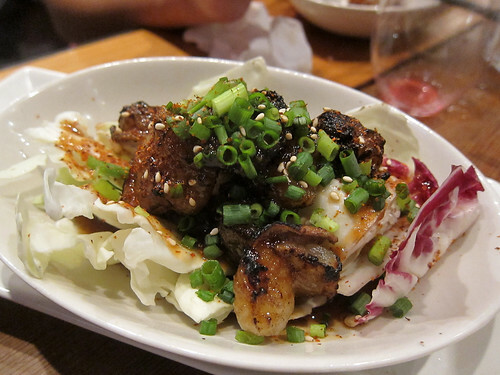 some cow gut anatomy…served on top of a cabbage salad with some spicy dressing. The rice bowls we ordered ended the meal. 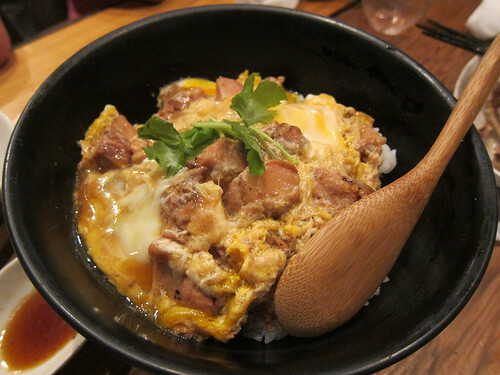 The chicken and egg rice bowl was the traditional oyakodon, the extremely comforting combo on rice. 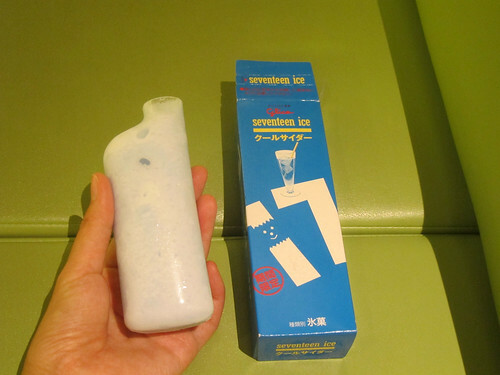 This was always made to perfection, with the egg just on the wibbly wobbly side, everywhere we went. Our second rice bowl and last dish of the night was almost life changing. 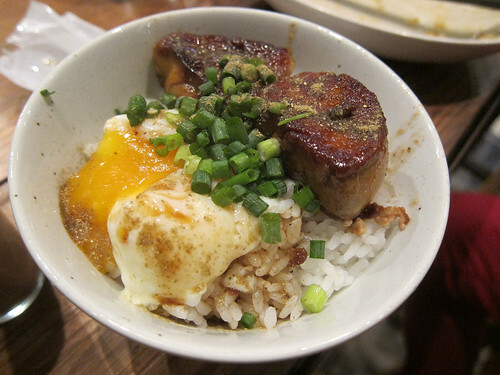 It was a foie gras rice bowl with hot spring egg and I’m now determined to recreate this one day for a special occasion. Yes, it was as good as it sounds with the rich liver and egg mixing in so well with the rice and soy-based sauce and spring onions. Gah, I’m dreaming about this again. While I certainly recommend this restaurant, I also understand that it may be difficult to find. I think the take home message is really that it’s incredible that we can get a well-priced and fabulous meal at a random restaurant in Tokyo where we just walked in off the street. I don’t think we ever had a bad meal and the majority of our meals weren’t planned. I love eating in Japan! We all slept in on our first day in Tokyo – that day at the onsen and the harried trip on the shinkansen the previous day had really taken it out of us. 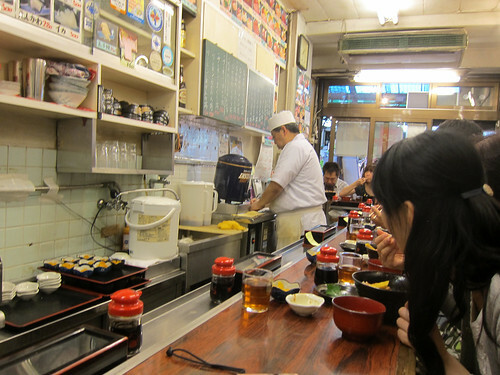 We slowly made our way to the famous Tsukiji market to see what we could and to grab some lunch. 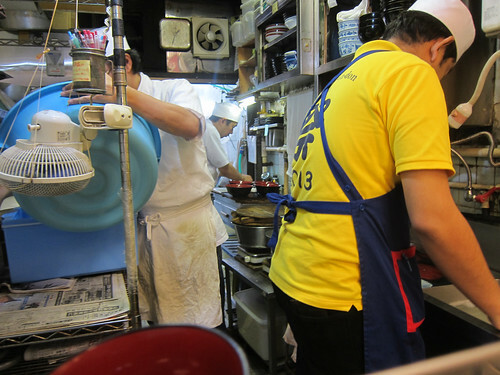 When we got there, we were, of course, too late to see any action at the wholesale seafood market but luckily, all the restaurants in the market surrounding Tsukiji were still going strong. We joined one of the random queues outside the restaurants and soon realised we were lining up for Nakaya Donburi, a restaurant specialising in rice bowls topped with all sorts of seafood but really specialising in tuna. This was one of the pictorial menus outside the restaurant (really, two separate tiny shops but with one queue). The queue went much quicker than we expected and after taking it in turns to wait in the queue and wander around the market, we suddenly ended up at the front. We perused the pictorial menus intently and placed our orders before we were even seated. And then we were in! 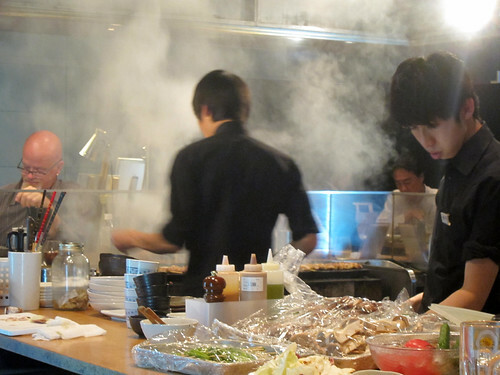 The two separate shops making up the restaurant had similar configurations. There was a long bar that sat about a dozen people, elbow to elbow. 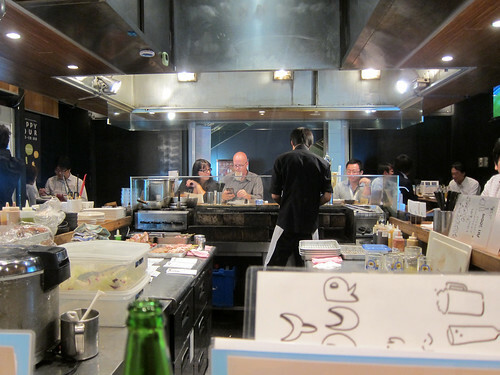 Each shop was also ridiculously narrow and on the other side of the bar was essentially part of the kitchen. The tiny kitchen extended to the back. Yes, it’s minuscule. It was impressive how quickly the bowls were put together and how quickly one could be in and out. Pickles and tea were set out for us as soon as we sat down. A brilliant miso soup arrived not long after. See those blue post-its at the top of the photo below? My order was written on those. 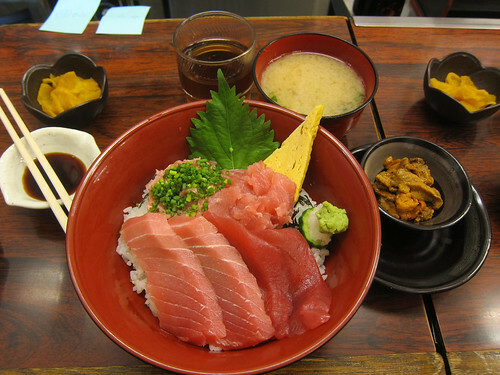 I had chosen a donburi with four different tuna preparations: ‘regular’ tuna, fatty tuna belly, chopped tuna and chopped fatty tuna with green onion. 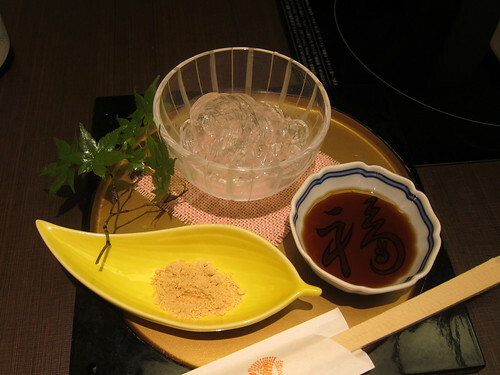 One of the men at the counter indicated how we should take the lump of grated daikon and wasabi and dissolve it into our little saucer of soy sauce. 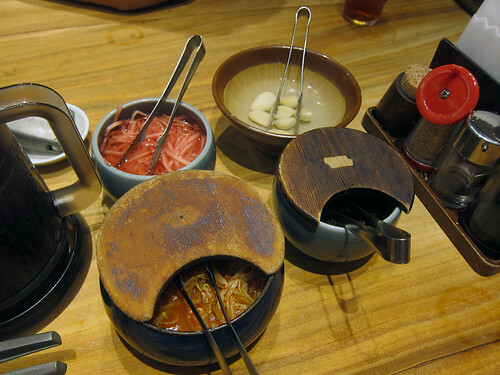 In addition to the donburi, you could order all the toppings as individual side dishes. 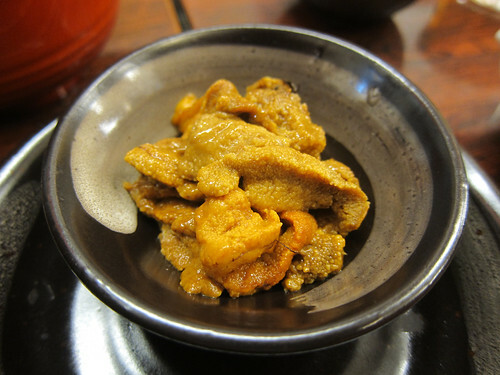 Because I couldn’t let the opportunity pass me by, I also ordered a side of uni (sea urchin). Oh yes, this was a brilliant lunch – all the seafood was extremely fresh and tasty and did I mention it was a relative bargain too (for London standards)? This all came to 2500 yen (about £15). It was definitely worth the wait! I know that this Tsukiji market will cease to exist at the end of this year as the wholesale market will be moved to a brand new building. What will happen to all the fantastic restaurants, like this one, surrounding the old market? After work finished, we had most of a day free in Nagoya; that night, we were going to take the shinkansen to Tokyo to spend our last few days in Japan there. Our original plan was to try an onsen in the morning, followed by a visit to Nagoya castle and then back to the hotel to pick up our luggage and head for Nagoya station to catch the train. That plan didn’t really materialise, especially when we realised what an amazing, awesome, fantastic, magical, relaxing place the onsen was. Only I’ve just discovered that there’s a major difference between onsens and sentōs. Onsens refer to public hot spring baths in Japan whilse sentōs are public bath houses that don’t use waters from natural thermal sources. Both have the same strict set of rules for their use. Ours, the Yu-no Shiro Ōsone onsen, is called an onsen but is in the style of a supersentō, a large scale bathing facility with multiple pools and facilities. 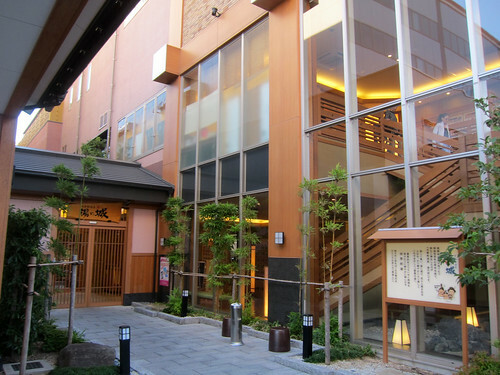 This was the onsen we visited near Ozone station in Nagoya. We entered and removed our shoes where we store them in provided lockers. We then traipsed upstairs along tatami lined stairs and floors to the main reception where we had to wait for an English speaking receptionist to help us work the Japanese-only vending machines. We all bought tickets for entry and tickets to rent towels and a pajama-like outfit to wander around the public areas – the total was about 1000 yen for each of us. Our small group then split up (male/female) and were guided to the changing rooms and shown how to use the lockers and where the showers were. There were plenty of signs with rules all around. One must wash before entering any of the baths. No one with tattoos allowed. Children must be accompanied by adults. One must be fully naked in the baths (this was a confidence booster)! Of course, I have no photos of the actual baths themselves! There are lots of photos on their website though (my favourite had to be the carbonated bath, with all the little bubbles accumulating on your body!). After a couple of hours trying each and every bath and sauna (there was a huge TV in the sauna! ), we regrouped for lunch in our pajama-like outfits at the self-service restaurant downstairs. It was then that we decided that we’d much rather laze around all day in this magnificent place than go visit a castle. Ahem. 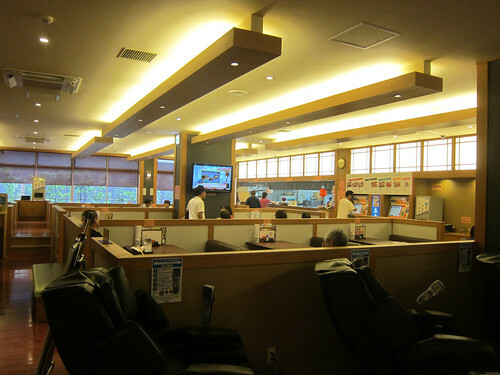 Anyway, here was the self-service restaurant, one of the extra facilities at the onsen. Meals had to be purchased via vending machine. 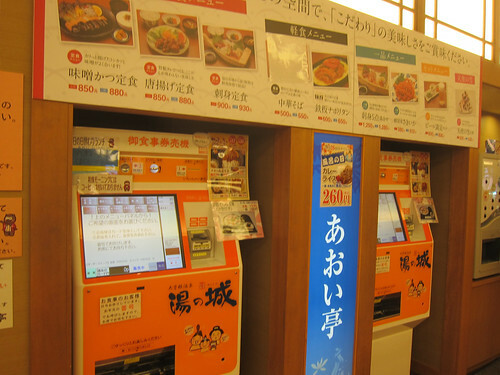 You’d select your meal (we ordered by matching up the words and prices in the picture menu and on the vending machine), pay your money and get a ticket that you’d then pass to a lady in the kitchen. She’d prepare your meal, shout out your number and you’d go and collect it. 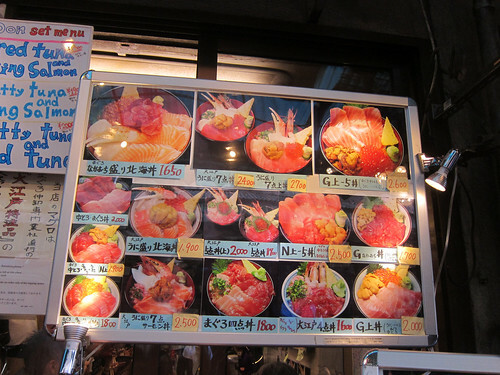 I wanted just about everything on the menu – there was sushi, sashimi, noodles, stuff on rice, etc, etc. 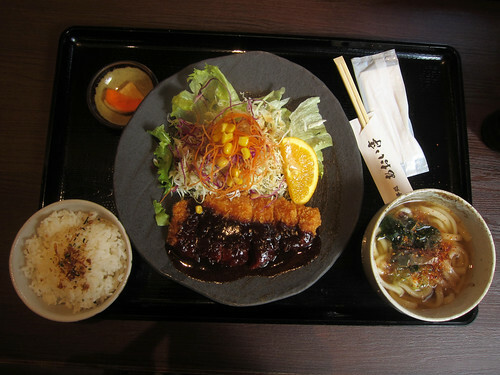 I eventually chose the miso katsu lunch set (only 650 yen!) which included the miso katsu, a massive salad (and a whole range of amazing Japanese salad dressings to try), rice and a bowl of hot udon noodle soup. Oh, and pickles. Gotta have the pickles. 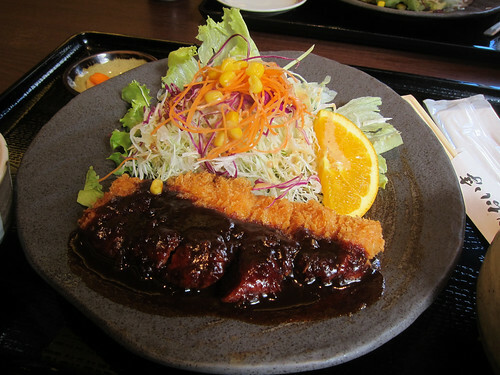 This was another Nagoya specialty, the deep fried cutlet covered with a very thick and very rich red miso sauce. It’s very strong in flavour and I loved it! I wish you could have seen the tea dispensing machines! All the free hot or cold toasted or green tea you could drink! 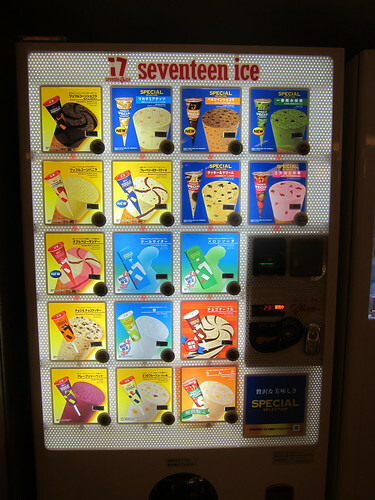 We were looking for dessert after our meal and the lure of this ice cream vending machine was just too much for us. 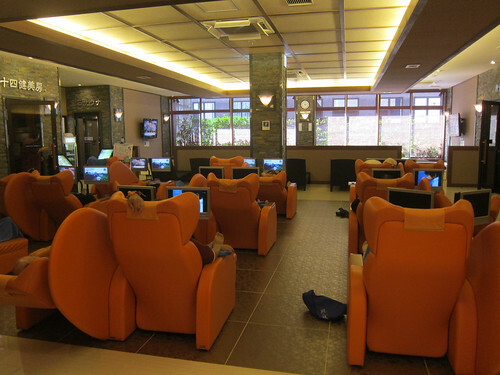 Apart from the restaurants and vending machines, there were multiple rest and sleep areas and this was one of the rest areas – each sleep bed had its own personal TV screen! While the boys chose to snooze off their lunch, I headed back up to the baths for another hour. Just before leaving the onsen though, I managed to get a massage in one of the ridiculuosly high-tech massage chairs (just visible at the bottom of the restaurant photo). Sure I could have scheduled a proper massage (that facility was also available) but this 10 minute massage only cost me 200 yen. 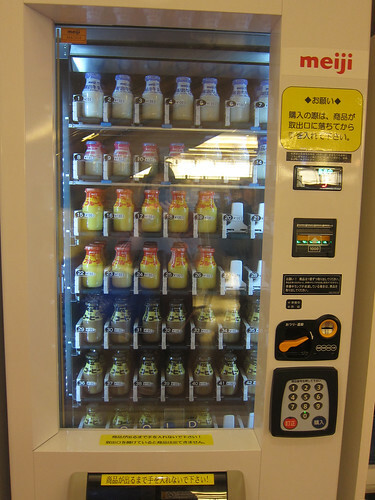 And with that massage, I also had a coffee milk from this Meiji milk vending machine. Awww yeah, that’s some tasty coffee milk. What a fantastic and relaxing day that was. We still talk about it and dream about opening up a bathhouse in London! We were the only non-Japanese people there that day and they clearly don’t get many tourists but don’t let that put you off! They’re very welcoming and it really is one of the best things to do in Japan. Whilst travelling is probably the only time I’ll ever be happy waking up super early. It was particularly so in Japan when every morning, I’d get to exchange my breakfast ticket for, well, an amazing breakfast. At our hotel in Nagoya (Hotel Trusty Nagoya near Fushimi) offered four breakfast sets each morning and your choice had to be made the night before. There were two Japanese sets and two Western sets, and of each style, one was complimentary with our hotel stay and the other could be had for a small supplement. 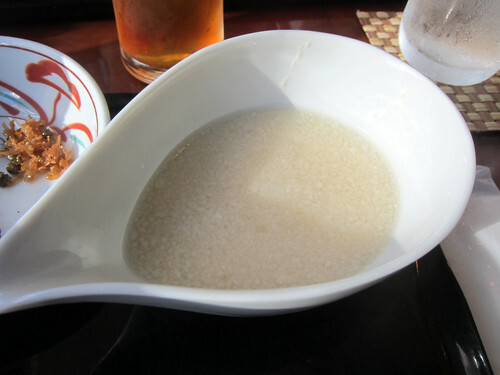 This was the first Japanese set – tororo gohan, or mountain yam rice. 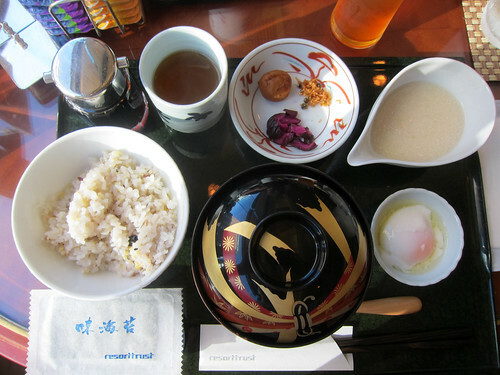 Rice, nori, a bowl of soup, an onsen egg, raw grated tororo, pickles, hot tea and soy sauce. 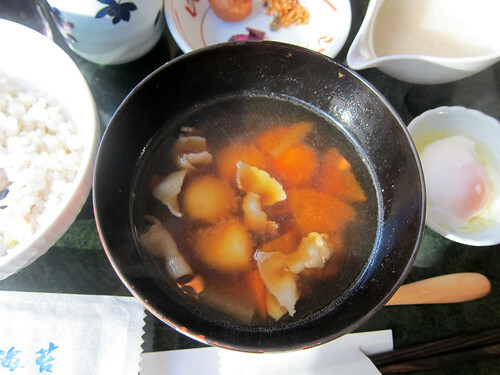 The soup was clear and very savoury with thin slices of pork and root vegetables. The tororo had a slightly slimy texture that was not at all unpleasant (well, if you find okra too slimy perhaps this would be a bit too much in the morning). It was delicious! I think one could mix this and the egg into the rice and it truly was scrumptious. Altogether, it was a brilliant start to the day. 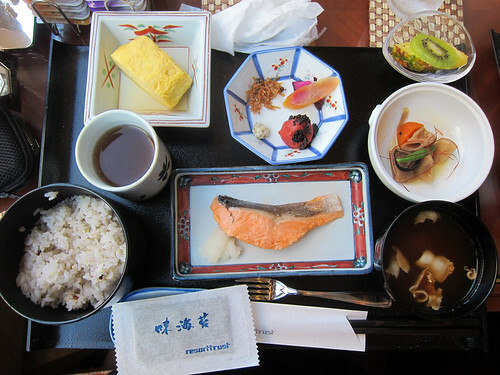 The other Japanese set was a full Japanese breakfast, complete with grilled salted salmon, soup, braised vegetables, fruit, pickles, a huge slice of tamagoyaki (Japanese omelette), hot tea and rice. Again, this was fantastic – I love a good savoury breakfast. I had to try one of the Western breakfast options (Nagoya is apparently famous for them) and decided on the simpler one that was included in our room price. I loved that super thick fluffy toast and was glad that I did try it! 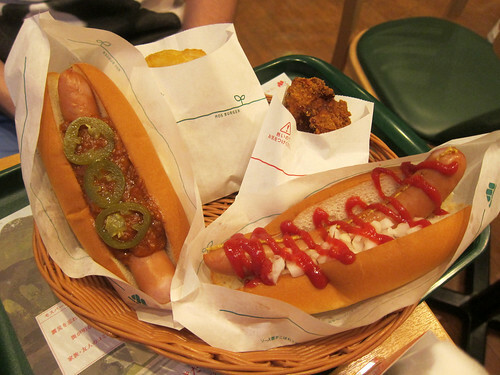 The sausages were more like hot dogs and the soup tasted tinned but the potato salad and vegetable sticks (salad is a breakfast food in Japan) were very welcome, as were the fruit and yoghurt. If you’re curious, the other Western set (the one that cost extra) included a fancier salad and pizza bread! 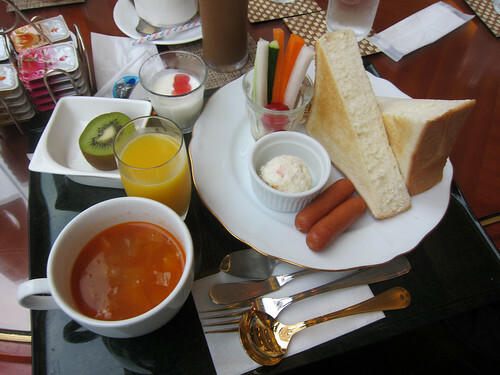 Our hotel in Tokyo (Hotel Park Side in Ueno) offered a small breakfast buffet full of both Japanese and Western options. The quality of the ingredients was not as great as in Nagoya but it still beats a lot of breakfast options here in London! 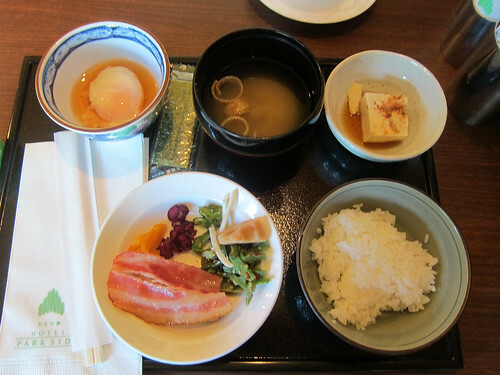 Here we had components for both a Japanese and Western breakfast and I combined the two a bit. Rice, tofu, miso soup, nori, an onsen egg, and braised vegetables and bacon (oh yes!). 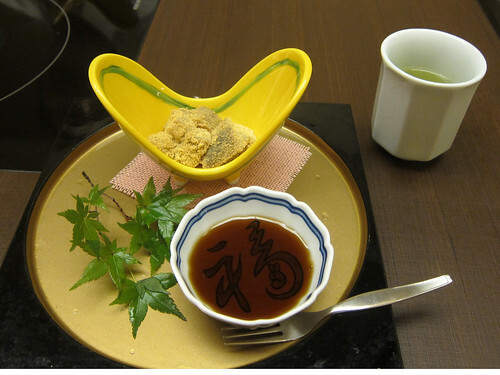 I also tried my first natto at breakfast in Tokyo and …. I found the strong flavour a bit challenging! That’s not perhaps my favourite breakfast food. But thumbs up to the Japanese breakfast in general! 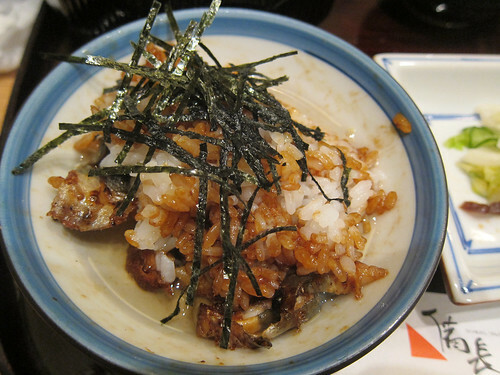 Top of my must-eat list in Nagoya was hitsumabushi, the Nagoya style of eating unagi (freshwater eel) on rice. With the help of a tourism officer, we booked a restaurant located near Nagoya station and this turned out to be a branch of Hitsumabushi Bincho, a chain of hitsumabushi restaurants in Nagoya and also Tokyo. 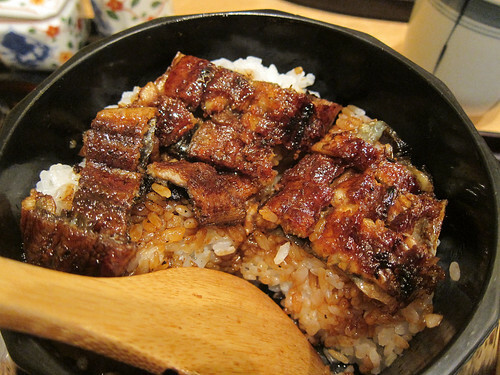 Most of the hitsumabushi restaurants will only serve eel so do ensure that everyone in your party is happy to eat it! 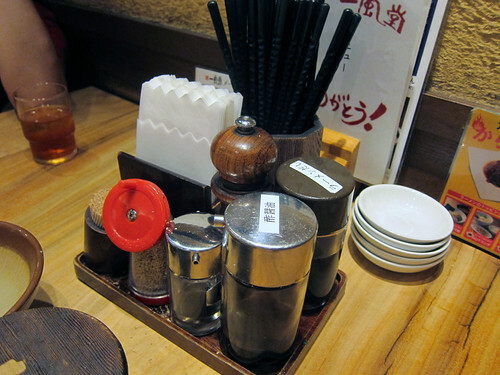 This is the tray that is presented to you after you order. A bowl of rice and eel, an empty rice bowl, pickles, a bowl of a clear broth, wasabi and spring onions, shredded nori and more dashi broth. Our kind waitress guided us through the process of consuming hitsumabushi. We first took our rice paddles and divided the bowl of rice and eel into four quadrants. We all scooped a quadrant into our rice bowls. This quarter was eaten as is, no toppings added, to really taste the eel. 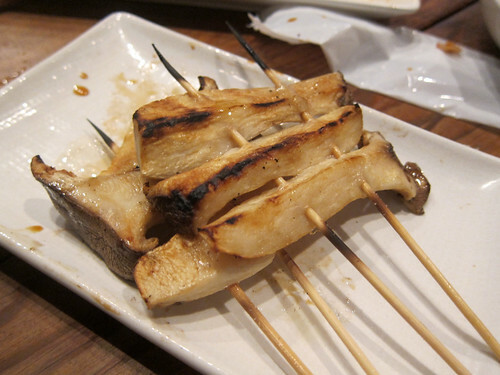 The method of cooking eel for hisumabushi in Nagoya does not include the usual steaming, thus leaving the eel with lots of crispy grilled edges. I loved it. The second quarter was to be mixed with as much freshly grated wasabi and finely sliced spring onions as one desired. Delicious. 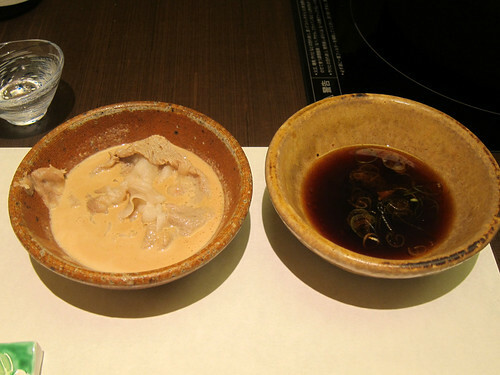 The third quarter was topped with shredded nori and a clear dashi broth, turning the eel and rice into a sort of congee. As tasty as this was, the broth destroyed all the crispy eel edges that I so loved. The final quarter? We were to eat it in our favourite way of the three! A dab of wasabi and spring onions for me again then! 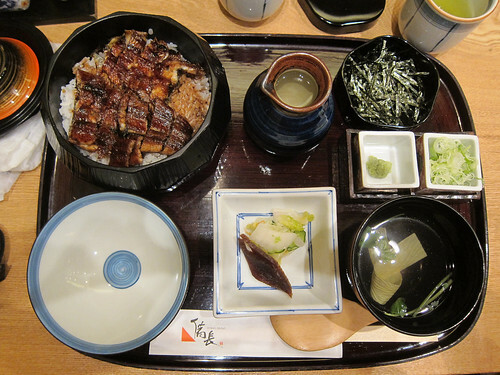 I loved the whole ritual involved with the meal and I absolutely loved the Nagoya style of straight up grilling the eel without the initial steaming. The meal wasn’t the cheapest in Nagoya but the price for a hitsumabushi meal was pretty consistent across all the restaurants in the guide I was given (about 3000 yen or £20 per person). The branch we visited was in the ESCA underground shopping avenue next to Nagoya station.